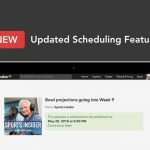 Spreaker has added something new to their Content Management System to help make podcasting even easier for Spreaker users. They updated their scheduling features. It is for podcasters who love to plan ahead and who hate leaving things up to the last minute. From now on, once you record and create your show you will have the opportunity to create a scheduled episode page for future episodes, informing your audience of when they can expect your next episode to be released. How far in advance can you go? More than two years! The holding page will show your podcast’s image and will state the exact time and date of when the episode will go live. Spreaker is aware of how much easier things are when you have the opportunity to get them done ahead of time. This is why they made it possible to share episode links, schedule social sharing, and embed episodes in your blog, all of which are unpublished and all in advance. By having access to your show’s link, you will be able to share your unpublished episode with your audience, ahead of time, in whichever way you wish, for example via e-mail or website. It will also allow you to program your social media channels – offering you the chance to promote each episode to its maximum capacity. You can also insert unpublished episodes into your blog.